Since 1977, we’ve been sharing our passion for fencing in Georgia as the state’s first fencing club. 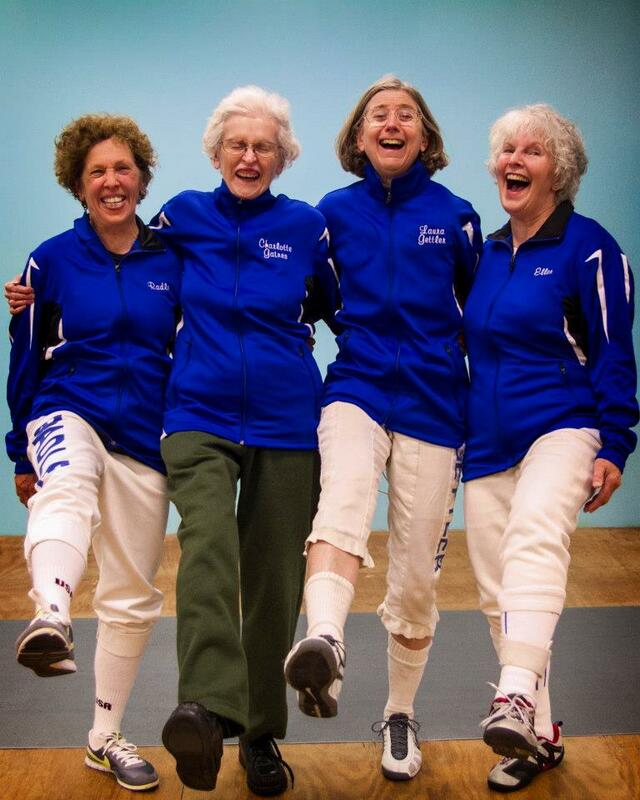 We serve members from age 7 to 75, from beginners to top-level competitive fencers and enjoy sharing our passion with anyone interested in the sport. Located just 15 minutes south of downtown Atlanta, we offer fencing in all three disciplines, private lessons and group foil or epee classes for all skill-levels 5 days per week. Only a few minutes off the highway, our 7,000 square foot facility is fully air-conditioned. We have 9 strips on a raised wood floor, a cross-training area, fencing dummy, weapons repair station, and locker rooms with showers. We provide club equipment for our newer fencers to use. Our experienced coaching staff offers one-on-one and group lessons for all weapons and skill-levels. Every week, we offer multiple classes for youth, beginners and competitive epee and foil fencers. In addition to classes, fencers visit to free fence every day of the week, except we are closed on Tuesdays and Sundays. Contact Maestro Gene to learn more. What weapons are used in fencing? Modern competitive fencing is divided into three separate sport weapons: the foil, the epee and the sabre. The object of all weapons is to hit your opponent before they hit you, but rules vary by weapon. We teach all three weapons at AFC, with group classes in foil and epee. Weapons are designed specifically for fencing and are very safe. For students new to the sport, we can help them choose the weapon that fits them best. How old do you need to be to fence? Fencing is a sport that almost anyone can do, from children up to seniors. At AFC, we have students from age 5 to 85 and provide fencing gear to fencers of all ages. We have a large number of youth fencers, as well as teen, adult and senior fencers. Contact AFC Maestro Gene Gettler to visit the club, sign up for a class or lesson. We're always happy to share our sport and welcome new fencers — from people just starting out to advanced fencers seeking a new place to train. Gene earned his certification as a Fencing Master in 1977 from the American Fencing Academy at Cornell University, and founded the Atlanta Fencers' Club that same year. Many of his students have become regional and national finalists and champions, including one pupil who made two US Olympic Teams. Also an accomplished fencer, Gene was a bronze medalist in foil in the 1998 Div. II Nationals, has been US Masters Champion twice, Southeast Section Foil Champion twice, and twice has been the Southeast Section Epee Champion. Gene is also a faculty member teaching fencing at Emory University and Head Coach of the Centennial High School Fencing Team. Gene is also dedicated to the training and certification of Fencing Coaches. Gene is former SE Vice-President for the United States Fencing Coaches Association. Wishing to help the growth of Fencing in Georgia, Gene has served as an officer of the Georgia Division of USA Fencing for over 30 years. Instructor in Foil, Laura has been fencing for 35 years. Among her competitive accomplishments, Laura is a past Southeast Section Champion, and several times National Finalist in Veteran’s Foil. Laura assists with the Beginners Youth and Adult classes, and is particularly liked for her patience and sensitivity. Gene and Laura have been married for 30 years. Ed is nationally rated in sabre, epee and foil, and is an assistant coach at the Atlanta Fencers’ Club. 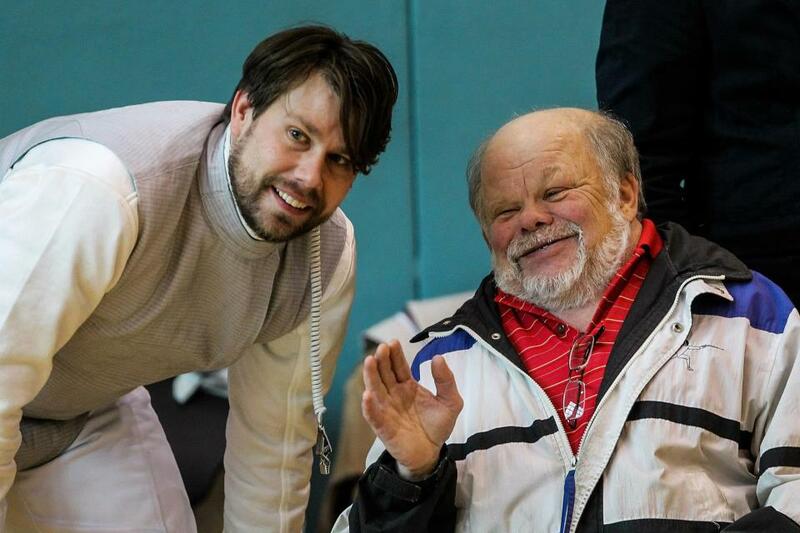 Ed is particularly an excellent mentor to less experienced fencers and other veteran Fencers.